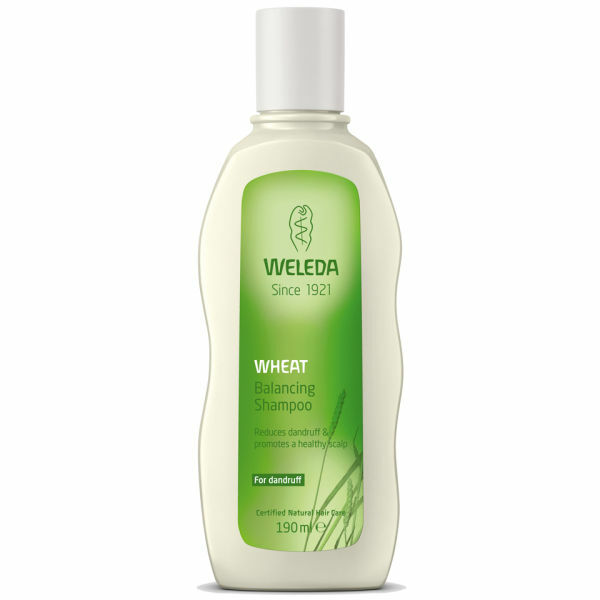 Wheat Balancing Shampoo replenishes and balances hair and scalp and helps remove loose flakes with nourishing wheat germ oil. Wheat germ oil soothes and moisturizes dry, irritated scalps, strengthens hair and reduces flaking. Organic sage leaf extract further strengthens, revitalizes and protects hair from damage, while the lively scent of rosemary, tea tree oil and copaiba balm invigorates the senses. Ingredients (INCI)Water (Aqua), Disodium Cocoyl Glutamate, Disodium Coco-Glucoside Citrate, Sodium Lauroyl Oat Amino Acids, Alcohol, Glycerin, Fragrance (Parfum)*, Xanthan Gum, Triticum Vulgare (Wheat) Germ Oil, Glyceryl Caprylate, Sodium Lauroyl Lactylate, Sodium PCA, Salvia Officinalis (Sage) Leaf Extract, Ruscus Aculeatus (Butcher's Broom) Root Extract,Viola Tricolor (Pansy) Extract, Lactic Acid, Sodium Cocoyl Glutamate, Sucrose Laurate,PCA Glyceryl Oleate, Arginine, Sodium Phytate, Limonene*, Linalool*, Geraniol*,Coumarin*.